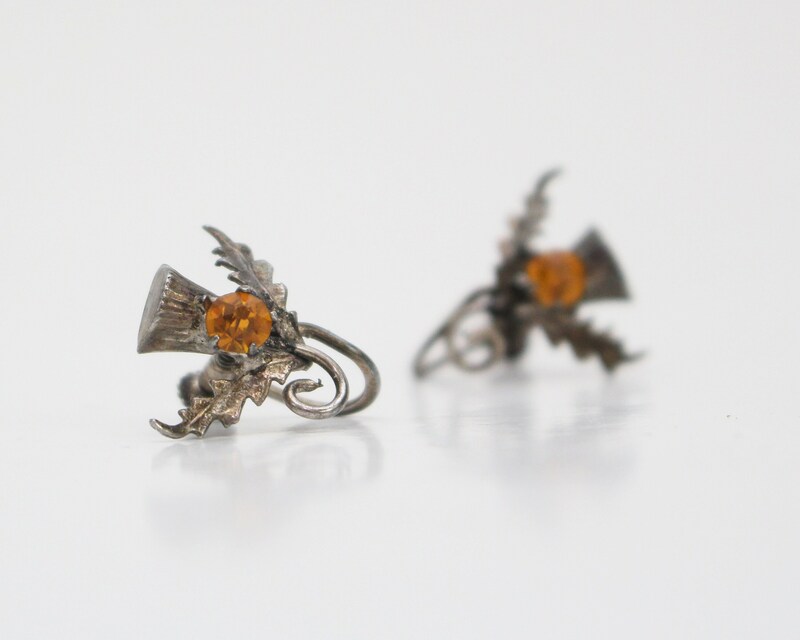 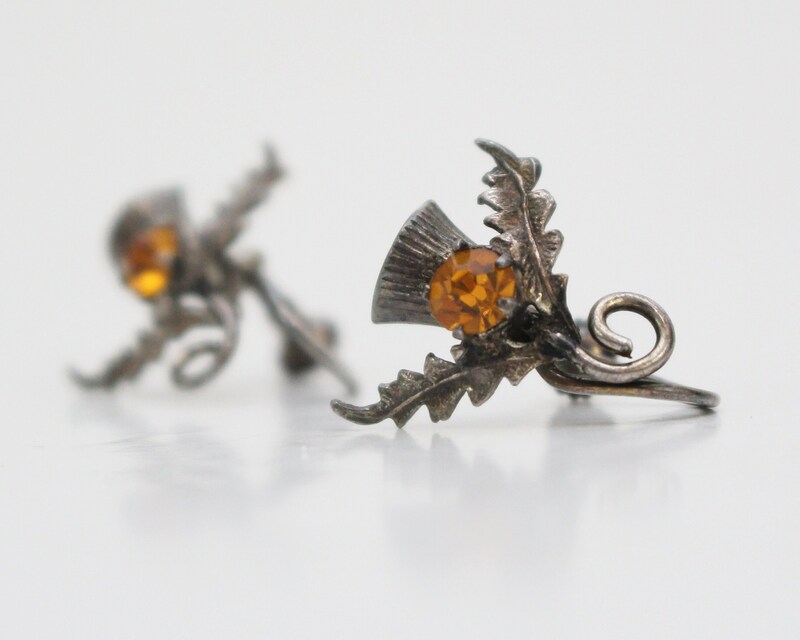 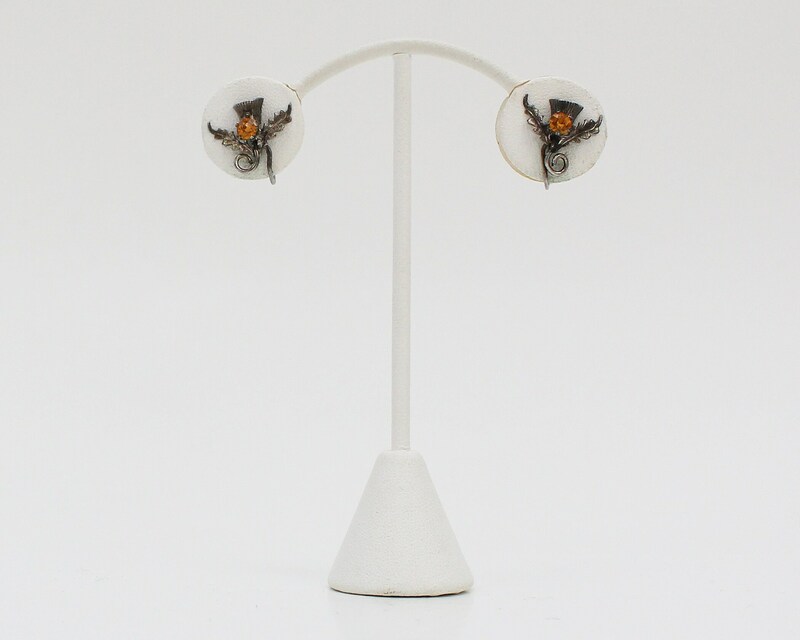 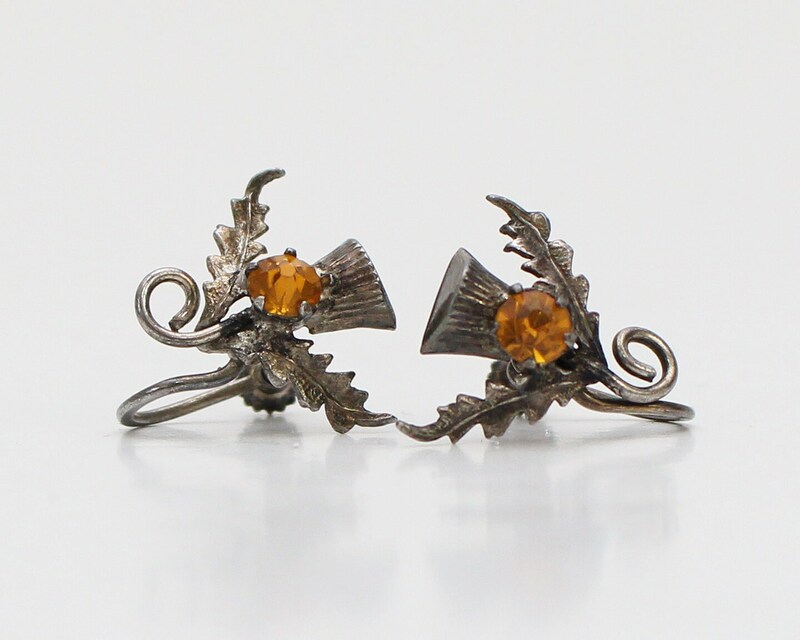 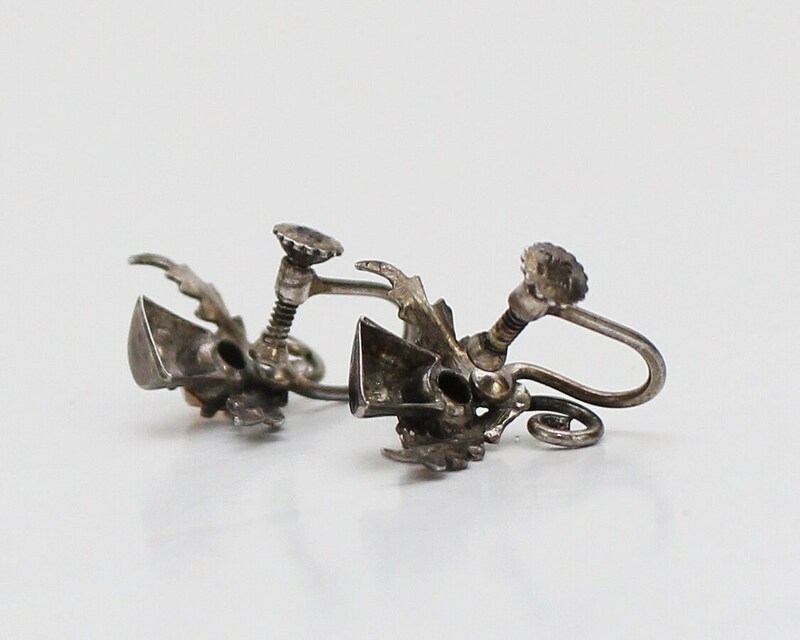 A charming pair of sterling silver screw back earrings from the late 1940s in the art nouveau style. 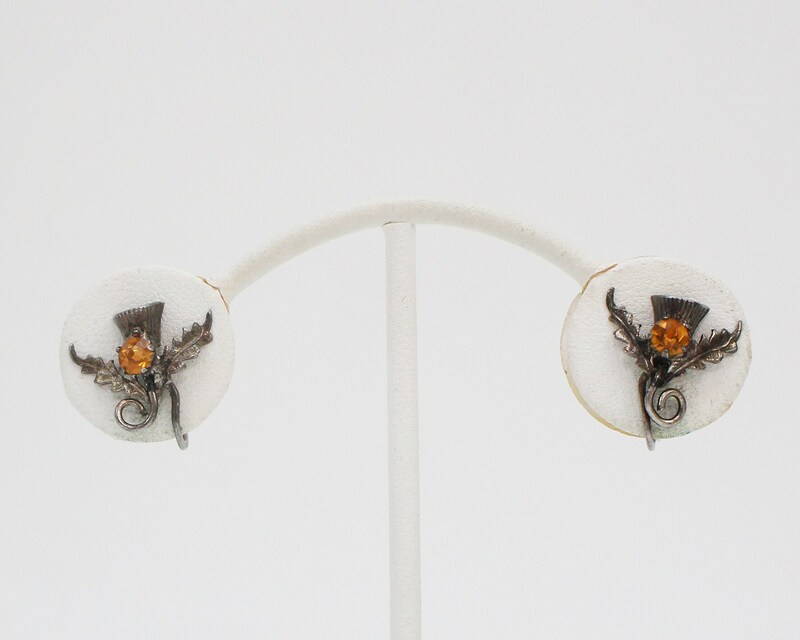 The stone at the center is a bright orange. 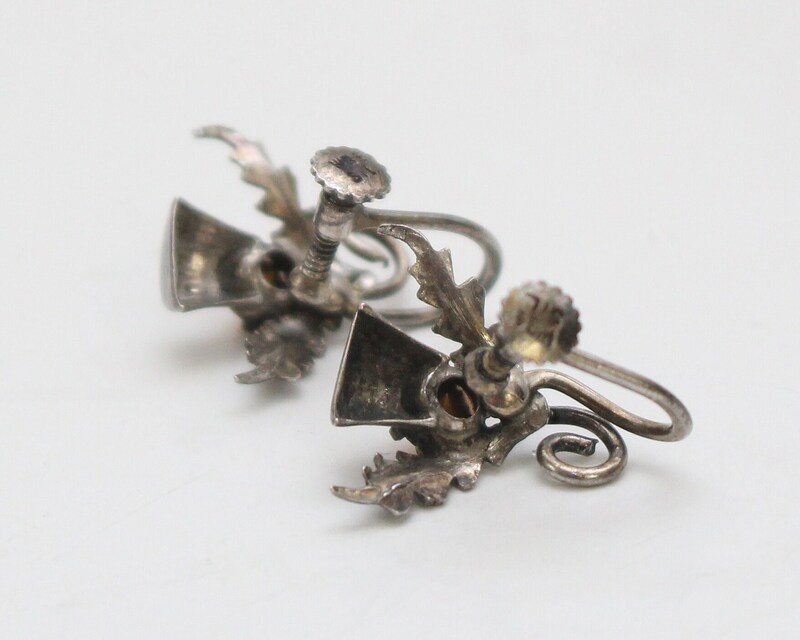 No noted flaws, aside from the patina, which you may choose to polish off.